the Internet offers some alternative ways to send and receive free international fax messages. Here's how to find a free international fax service that meets your needs,To send an free international fax, you can use online services or faxing programs,The best thing about companies that offer these kinds of services is that they offer 30 day free trials, you can begin by taking advantage of these trials and decide if this is the right option for you. There are a number of service providers that allow PC users to upload pdf and word documents to their website to be faxed. This cuts out the price of the machine and instead charges customers expected rates and can even provide an incoming fax number. 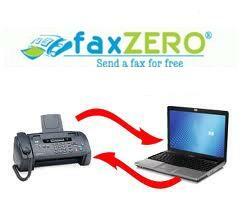 1-Fax Zero will let you send two free faxes a day to more than 40 countries. If you like their service, and need to send more than two faxes a day, they also offer a premium service for $1.99 per fax. 2-Ringcentral Fax. 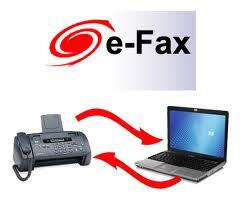 This is one of the most trusted companies in the field of online faxing. Not only are they capable of sending and receive international fax, but also offer Internet fax numbers to other countries, such as Canada and the UK. 3-MyFax Free lets you send a International fax for free to over 40 countries. This free faxing service is provided by Protus IP Solutions. Please note that existing MyFax customers cannot use this free Service. 4-Rapidfax is a good Internet fax service, though it doesn’t offer advanced features such as mobile faxing, mobile apps or free international fax. They Do provide you with a free email fax number and coverage across USA. 5-Free Pop Fax will let you send unlimited international faxes for free to more than 30 countries, but they insert advertisements on your fax's cover letter to support service fees.